Drinking from a canteen’s spout is fine when you’re just rehydrating after a hike. 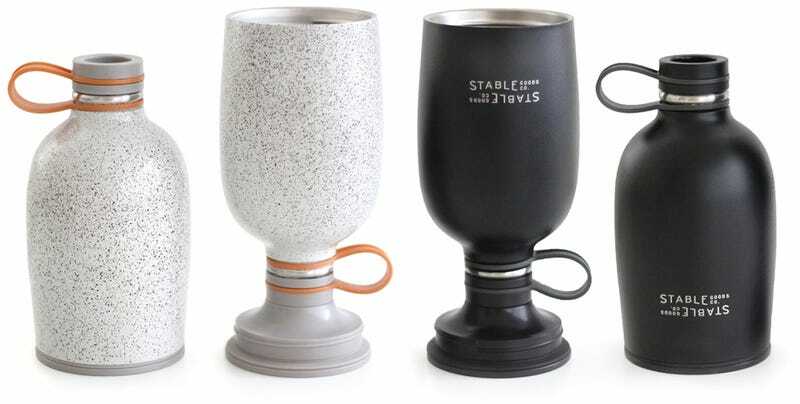 But once camp is set up, you’ll probably be drinking something other than water, and that’s where this canteen from the Stable Goods Co. really shines. Flip it over, remove the bottom, and suddenly you’ve got a wide-mouthed pint glass. Even if your camping adventures are far from roughing it, keeping your gear to a minimum is important if you’re heading into the woods with just a backpack. And if something can do double-duty, there’s all the more reason to bring it along.